As a band, we are exploring ALL of our musical influences, from Stravinsky to Tupac! Our sound is predicated on our experiences and musical influences! So if one wanted to know the band’s sound, they say that they sound like a “big gumbo” of their musical influenes! 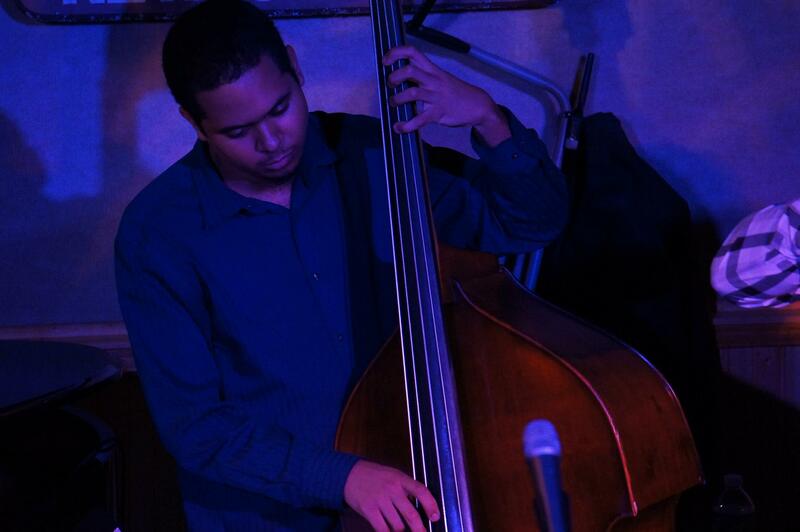 Jasen began studying the double bass at the age of 11. He first received training at a program called the New Orleans String Project. From there he joined the string orchestra at Lusher Extension Middle School and was accepted into the Greater New Orleans Youth Orchestra (GNOYO). By age 14 he was accepted into the prestigious New Orleans Center for Creative Arts in the Jazz program and was also promoted to co-principal of the Symphony division of GNOYO. Since then he has been privileged to play with many great musicians on the New Orleans jazz scene including Donald Harrison, Herlin Riley, Shannon Powell, Jason Marsalis, Jesse McBride and Leah Chase. 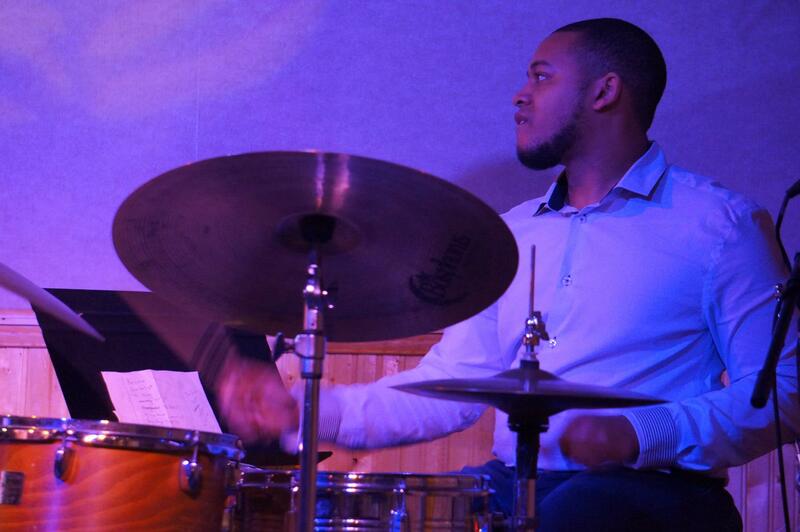 Jasen is currently attending the University of New Orleans on a full scholarship as a Jazz Studies major and plans to perform and teach upon graduating. Andrew currently resides in New Orleans, LA where he is on Scholarship at the University of New Orleans studying with jazz pianist Victor Atkins and classical pianist Robin Williams. Prior to arriving in New Orleans, he performed professionally throughout North Carolina as a freelance musician with various local artist including Steve Hobbs, John Brown, and Carroll Dashiell. Johnson later earned his bachelor’s degree at Florida State University in Tallahassee, Florida where he studied with Bill Peterson and Marcus Roberts. Whilst at FSU Austin’s trio was asked by Jason Marsalis to record on his first album as a leader on the Vibraphone, Music Update. In NC and Florida, as well as NOLA, Austin has had the opportunity to study and perform with musicians such as Branford Marsalis, Joey Calderazzo, Stephen Riley, Fred Wesley, Ed Thigpen, Wycliffe Gordon, Todd Williams, Jeff “Tain” Watts, Russell Ferrante, and Bob Mintzer. 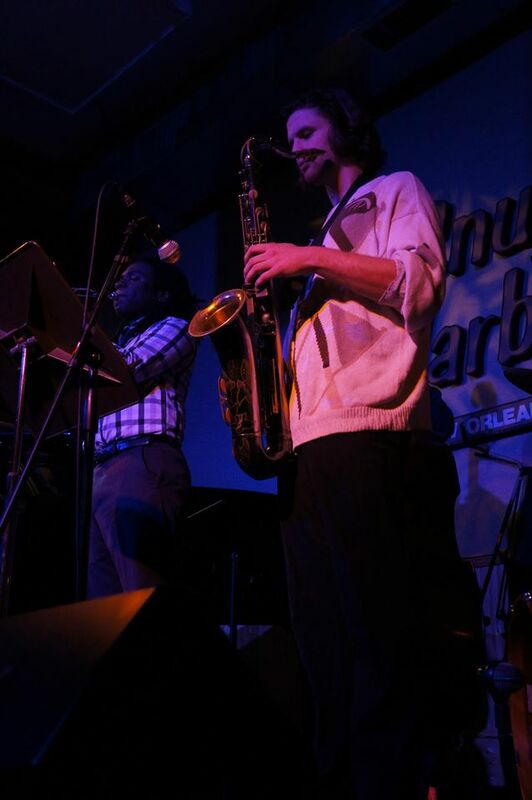 James is a 23-year-old tenor saxophonist who now resides in New Orleans. Originally from London, he started studying classical clarinet at the age of 7. He performed at a high level reaching the quarterfinals of the UK’s young musician of the year competition and performing as principal second clarinetist of the National Youth Wind Orchestra of Great Britain. He took up the saxophone at 17, having been introduced to jazz in secondary school. At age 18 he received a scholarship to attend the Berklee College of Music in Boston where his teachers included George Garzone and Bill Pierce. 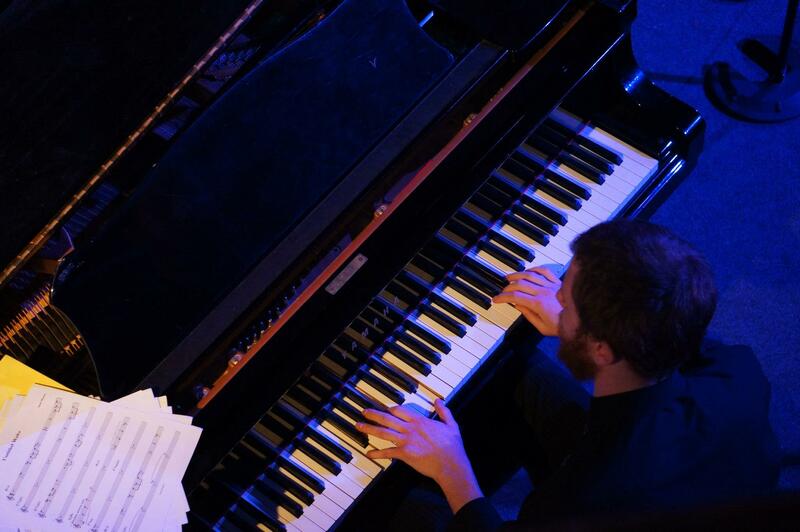 After achieving a dual major in Jazz Composition and Performance he moved to New Orleans having fallen in love with the city whilst spending his college breaks there. James has played in top jazz clubs both side of the Atlantic and has been lucky enough to perform with such artists as Delfeayo Marsalis, Joe Lovano, and George Garzone. Darrian was raised in Jackson, MS. At age 14 he attended the Academic and Performing Arts Center studying under Dr. Perry Combs along with many other wonderful music educators. Later he attended The University of Southern Mississippi where he studied Marketing. 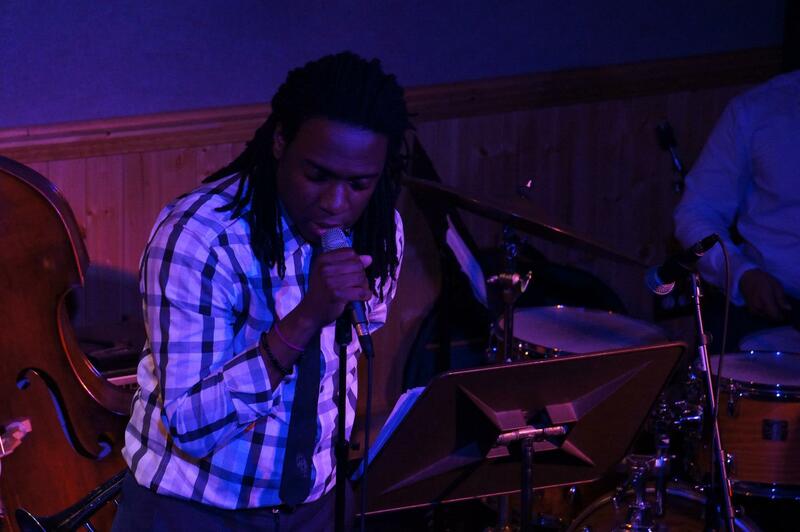 Darrian Now lives in New Orleans and has performed with many great musicians and performs in a number of bands including the Ellis Marsalis Quartet, the Jason Marsalis Vibraphone quartet and the internationally known Regeneration Brass Band. Steven Lands is a 22-year old Louisiana native and has been playing trumpet since the age of 9. He received a few lessons early from New Orleans native “Sweet” Willie Singleton and began playing gospel music all through his teen years. It was only natural that he started playing jazz with parents who sang (his mother once a jazz vocalist) and brothers and sisters who all were musically inclined. Since attending Louisiana State University he’s been playing with fine musical artists like Mike Esnault, Troy Davis, Roland Guerrin, Bernard Wright, Bobby Sparks, Wess “Warmdady” Anderson, Terrence Higgins of the Dirty Dozen Brass Band, Vincent Gardner, Sean Jones, Aaron Fletcher, Ron Westdry, Irving Mayfield, Brandford, Ellis, and Jason Marsallis, and he currently holds a spot in the Uptown Jazz Orchestra, led by Delfeayo Marsallis.